A bronze statue will be dropped off in front of Atlanta's Coke museum to spark the #ColaTruce. Coke has had to put up with its little brother beverage brand moving in on the town it built -- Atlanta. It had been locked out of any game commercials as Pepsi took ownership in this year’s soda category. 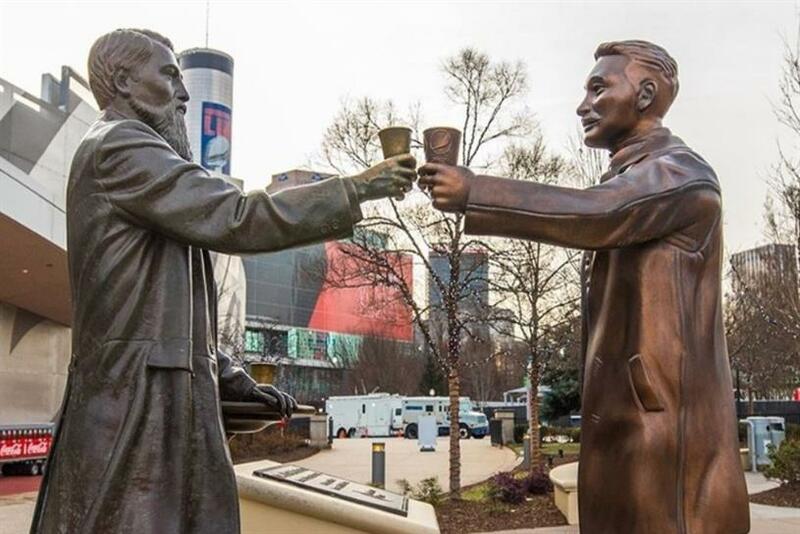 In a project that came together over the last 24 hours, Pepsi will drop a bronze statue of its founder holding its beverage opposite the infamous statue of Coke’s founder outside the World of Coca-Cola museum today. Pepsi tweeted at Coke asking for a celebratory cheers to declare a temporary #CoclaTruce. Coke has since responded.